The year I lived in Sunnyvale, California, I lucked out in finding a small, close-knit community of an apartment complex. Sure, I did my fair share of grumpily lecturing the rambunctious kids, but my gregarious neighbors also made me feel a little less lonely in my time away from my family. And every day at dusk, the odors of sizzling cumin, ginger, hot chilies, and complex curries I had never smelled before would float out from the various units and drive me crazy with hunger. I imagined they’d be eating their way through piles of rice, curry, and garlic naan. I always fantasized about being invited to dinner, but alas, I never was. One day, I was taking out the trash when I spotted a bunch of furniture sitting by the garbage bins. Clearly, a family had moved out and couldn’t bear to throw away their things. There was a dinged-up office chair, a tiny box of an ancient TV, and a coffee table with a chunk missing from its side. On the ground was a small pile of kitchen accessories, including a 12-inch cast-iron skillet. I bent down to take a closer look. This was a Lodge cast-iron skillet, worn smooth on the inside and a glossy black all over. Whoever its previous owner was had taken good care of it, keeping it well-seasoned through the years. Excited at my find, I decided to adopt the abandoned skillet, and ran back to my apartment with it clutched in my arms. After poking around on the Internet, I determined that this skillet was probably made in the U.S. in the ’80s. But how could it have remained in such good condition through the years, with no rust spots or rough patches indicating aggressive searing or the occasional burning of a sauce? After rolling this question around in my brain for some time, I realized with a start that the family must have been using it as a tava, a cooking pan for flatbreads. That made sense: cast-iron can provide the burst of intense, concentrated heat necessary to puff up breads. Genius! I discovered this garlic naan recipe while searching the internet for photos of homemade naan. 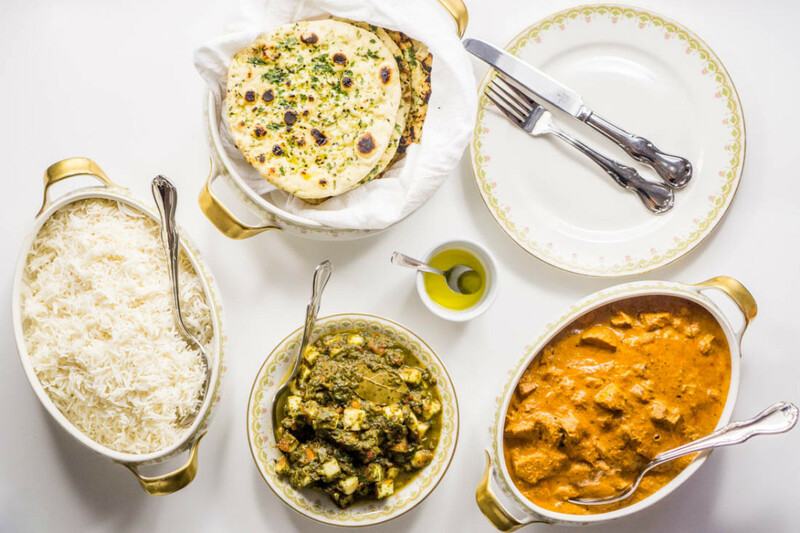 It’s hard to make good naan at home–the kind with huge, puffy bubbles and char–without the blistering heat of a tandoor oven. 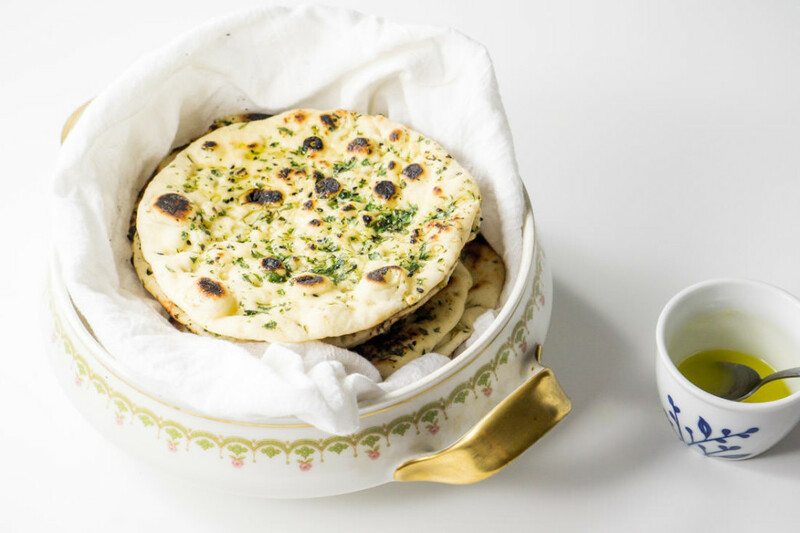 I’ve seen recipes for naan that approximate a tandoor’s heat by using a clay baking stone or a stainless baking steel (basically, a thick slab of steel). However, given that my oven’s broiler is located in a separate drawer, neither of those options are practical for me…so I decided to use my trusty reclaimed cast-iron skillet for the job. 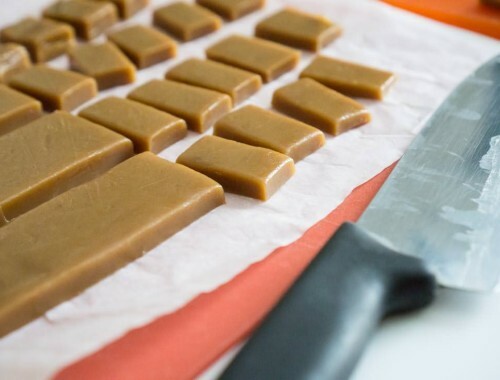 First, make the dough about 2-3 hours before you plan to eat dinner. Knead the dough in the bowl for about five minutes. No extensive kneading required here. Let the dough rise for about an hour to an hour and a half, or until puffy and doubled in size. Once the dough has about doubled in size, form it into 12 smaller balls. 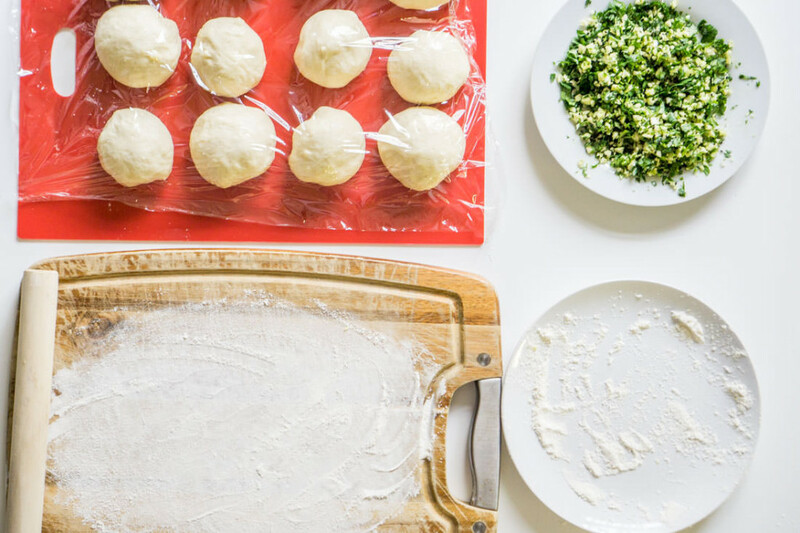 Let the dough rest again while you assemble the cilantro-garlic-nigella seed (kalonji) topping. You can omit the nigella seeds if you can’t find them, but they add a toasty, slightly-savory flavor and lovely deep crunch to the naan. 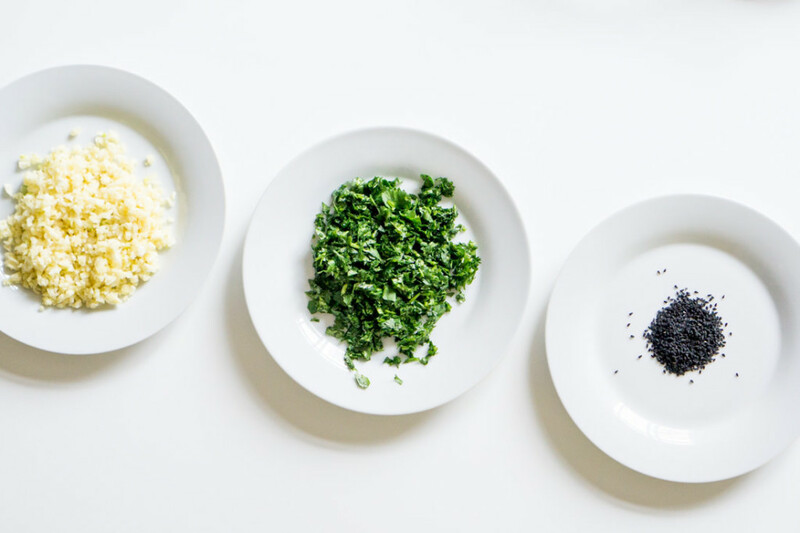 Roll out each ball into a small disc and press it into the garlic mixture. Roll out each disc until it’s about 1/3-inch thick. Watch out for any stickiness and holes that form. It’s ok–just patch up the holes. 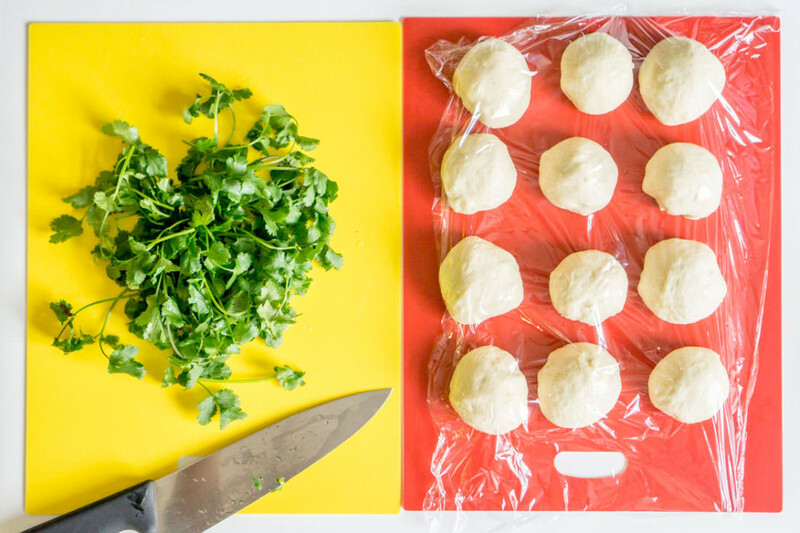 Now, you’re ready to cook your naan! One at a time, cook each piece of dough in a cast-iron (or nonstick) skillet that you’ve heated over medium-high. Don’t flip until you see bubbles form (about 1-2 minutes). Then flip, cook on the other side until toasty, and finish the naan over an open flame until you get lovely char bubbles. Serve hot with the rest of your amazing Indian-buffet inspired meal. I highly recommend drizzling the naan with ghee (clarified fermented butter), which will add a delightfully savory, slightly cheesy taste to the naan. 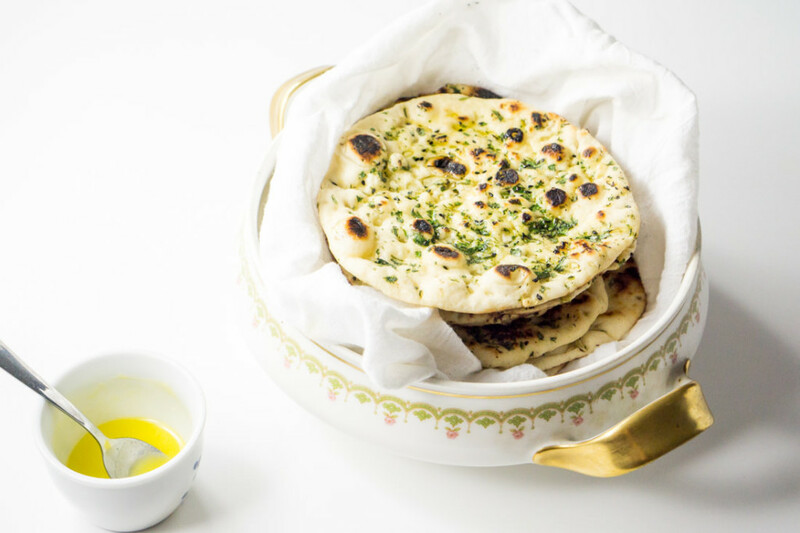 So even if you don’t get invited over for naan and curry, if you keep a trusty cast-iron skillet by your side as your tava, you can make your own crispy garlic naan at home! If using active dry yeast: stir yeast and sugar into 3/4 warm water (105-110°F) and set aside to proof for 10-15 minutes. Mix flour, 2 tsp. minced garlic, yogurt, salt, and oil in a large bowl. 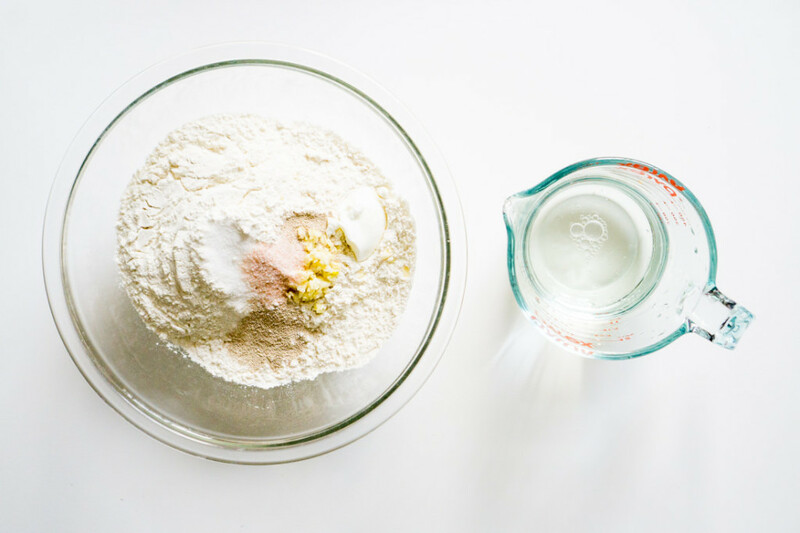 If using active dry yeast, add the proofed yeast; otherwise, if using instant dry yeast, add the instant dry yeast, sugar, and 3/4 cup lukewarm water (95°F). 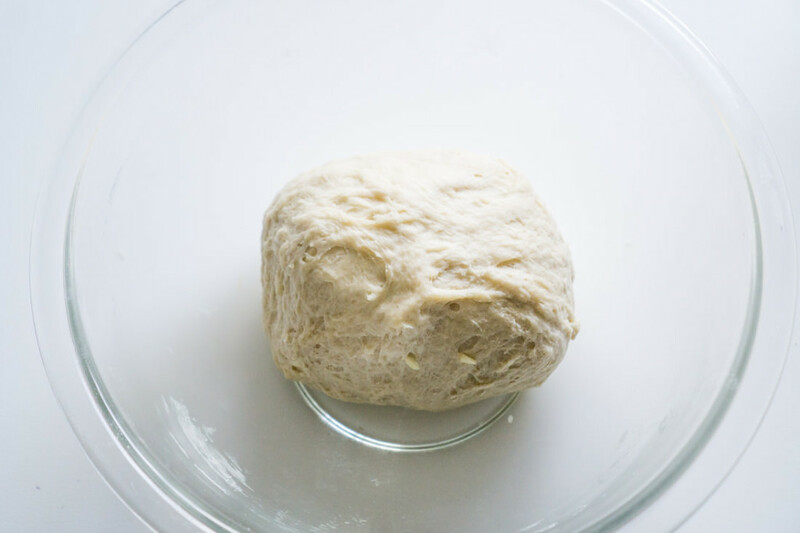 Add additional water as needed to create a soft dough. 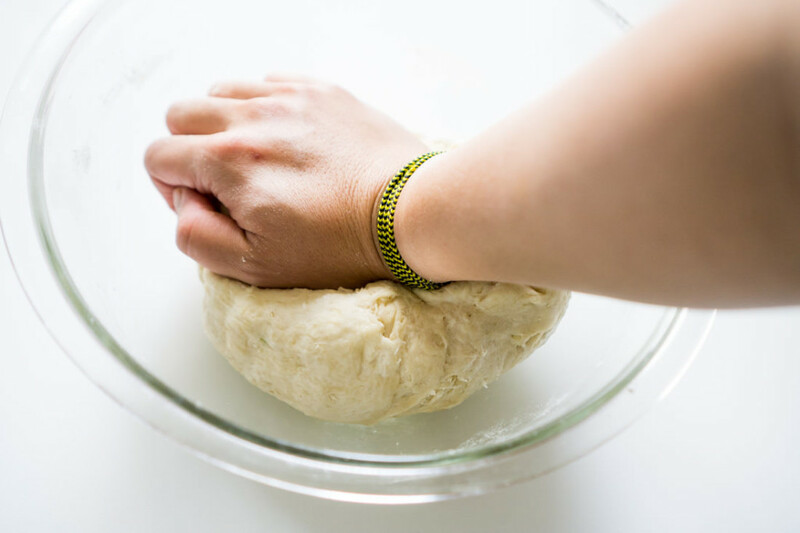 Using hands, knead dough in bowl until smooth, about 5 minutes. Cover dough with a damp cloth and let sit in a warm place until doubled in size, about 60-90 minutes. Transfer dough to a lightly-floured surface and divide into 10-12 balls. (A scale can be helpful here.) Cover with plastic wrap and let rest for 15-20 minutes while you assemble the garlic-cilantro-nigella seed topping. 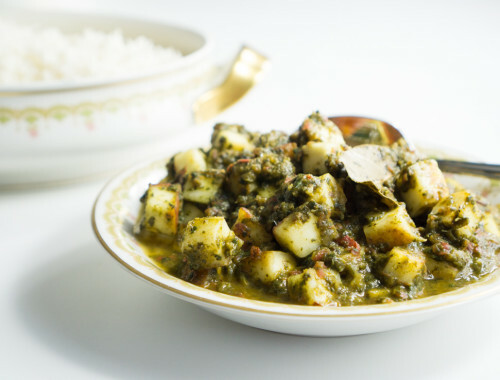 On a plate, mix the 1/2 cup minced garlic, 1/2 cup chopped cilantro, and nigella seeds (kalonji). 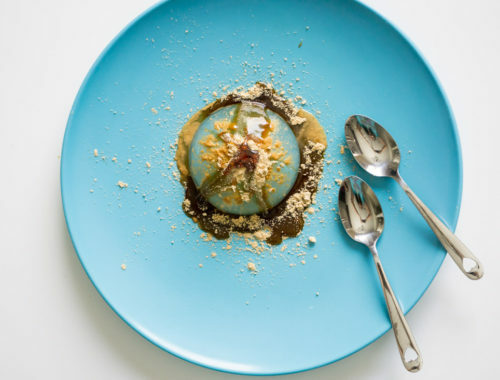 Roll out each ball of dough on the floured surface into a small disc about 1/2-inch thick. 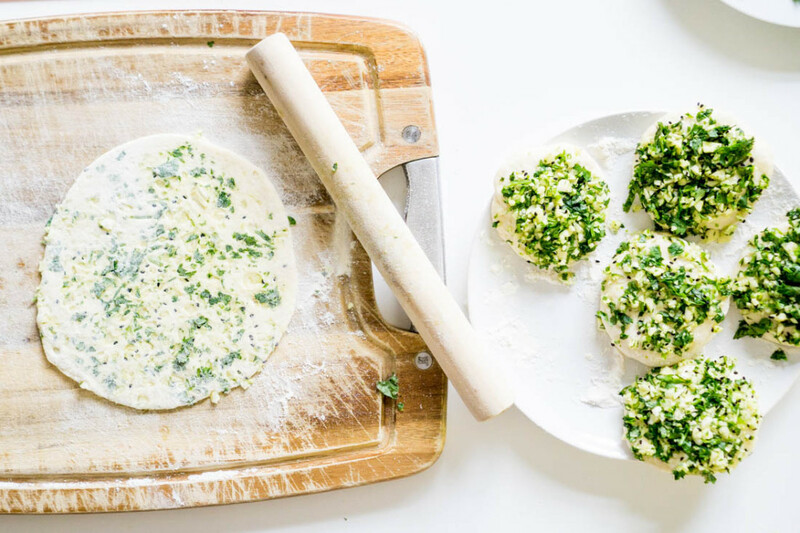 Place disc on garlic-cilantro-nigella seeds mixture and lightly press down to press mixture into dough. Return dough to floured surface and roll out to about 1/3" thick. Heat a well-seasoned 12" skillet over medium-high. Working with 1 piece of dough at a time, cook dough, plain side down, until bubbles appear on the surface, about 1-2 minutes. Flip dough and cook until bubbles appear once more, about 1 minute. 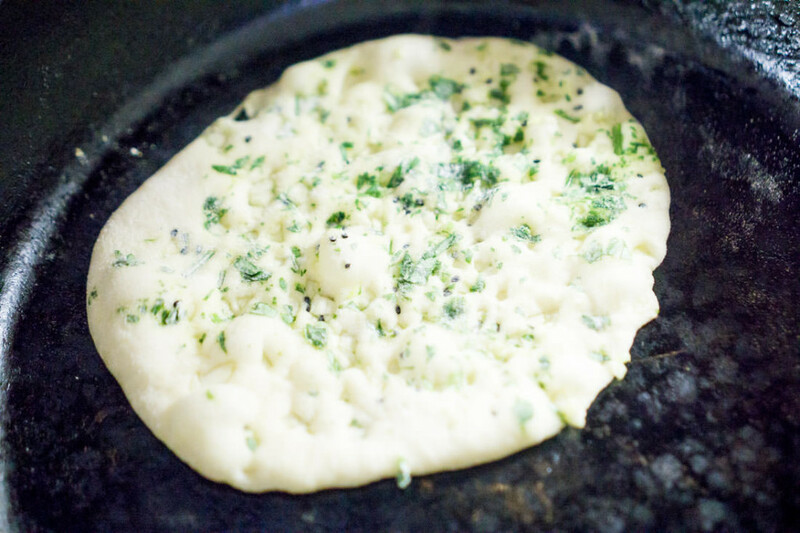 Transfer naan to a plate and remove skillet from burner when finished cooking all the dough. To finish naan: using tongs, cook naan about 2" over open flame of burner, flipping until browned in spots, about 1 minute. Return naan to plate and drizzle or brush with ghee. Serve hot. Adapted from Mala's Cooking Tips and from Saveur Magazine.